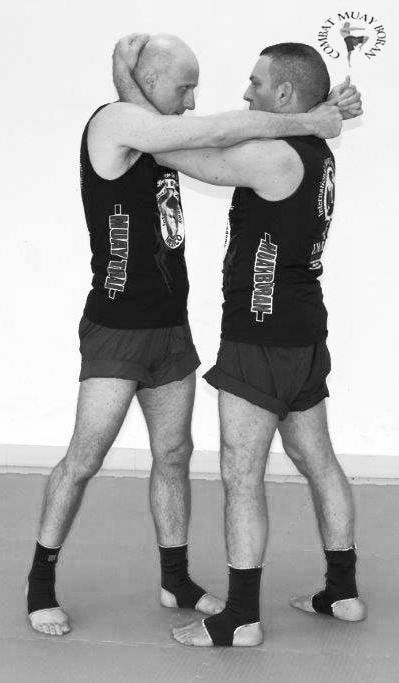 The first basic exercise employed by Khru Muays to teach their students to bear pain is running: every thai boxer start to bulid up his fighting spirit by wearing running shoes and by hitting the road; up and down, fast and slow, they all pile up miles and miles to become real fighters. Next step of the hard psico-physical regimen they must endure is impact training: heavy bag striking to harden muscles and bones, pads (Pao) and focus glove work outs for explosiveness and precision. 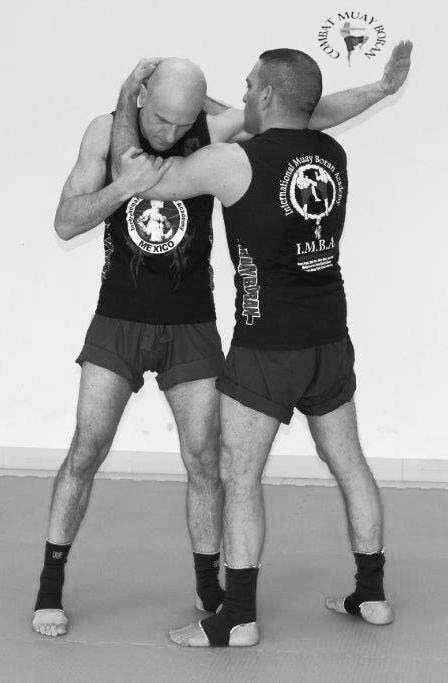 The third fundamental element used in a Nak Muay’s total preparation to fight is thai grappling or Muay Pram. 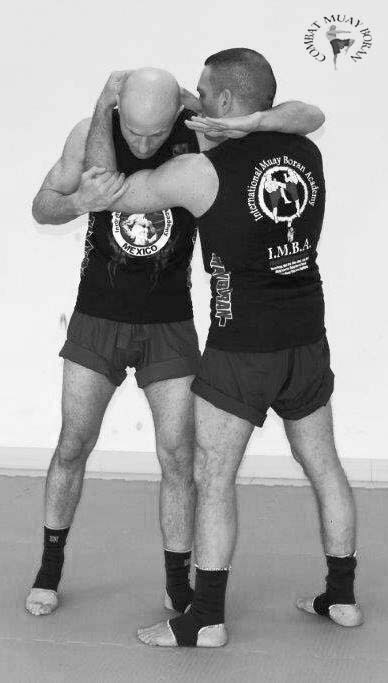 The first basic goal of such training is the development of tactile sensitiveness that will allow a fighter to perfectly manage fighting at very close range. Secondly, that kind of training is needed to literally forge a boxer’ s ability to withstand hard impacts all over his body, and this way a fighter can also test his will to fight. 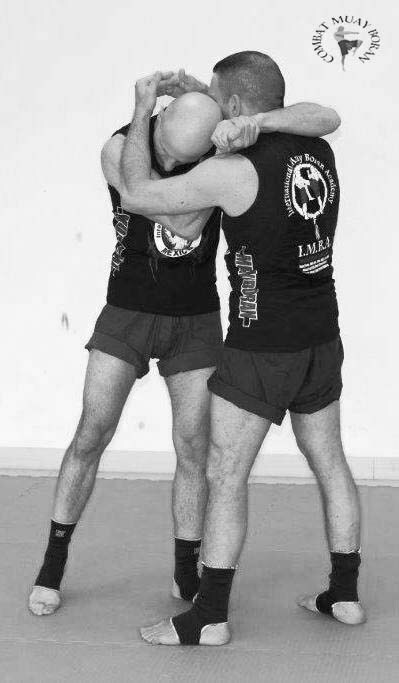 Knee strikes to body, arms and legs, violent neck pulling and twisting, viselike bearhugs, hard throws, barecknucle punches to the ribcage, all those techniques are employed to teach a Nak Muay to withstand every kind of attack without showing any sign of pain or frustration. 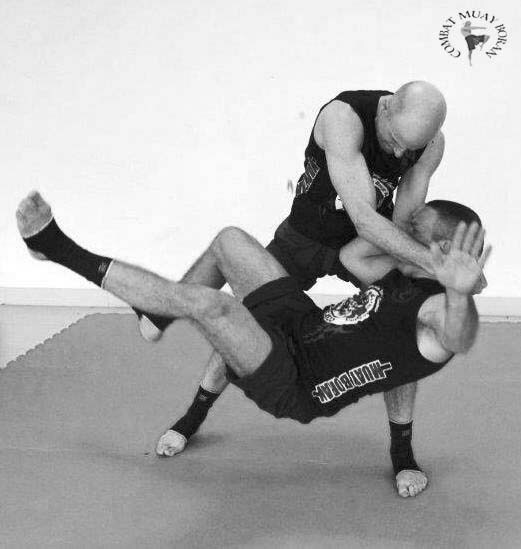 That’s what thai grappling is about.